Sometimes you just need a moment like this. After 90 minutes of tedium and frustration, and after weeks and weeks of disappointment and despair, the release of unbridled joy and euphoria from a last minute goal reminds you why you go through it all, and just how wonderful being a Bradford City fan can be. 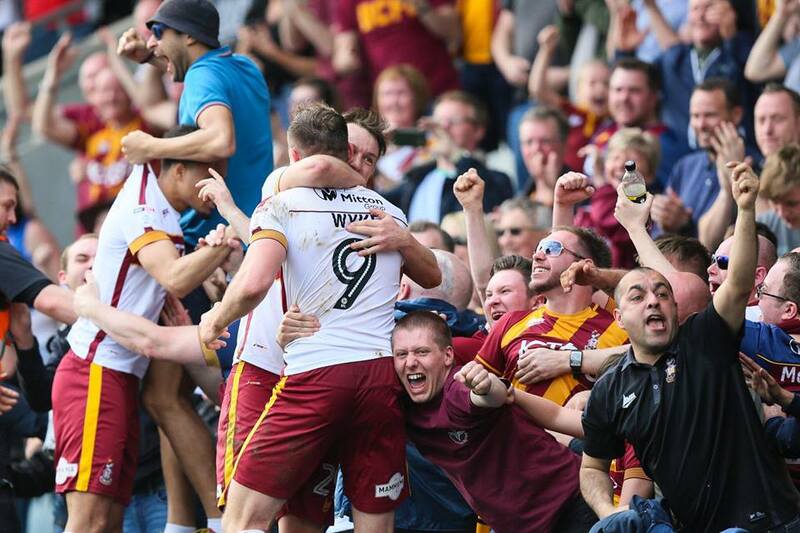 Charlie Wyke’s late, late equaliser for the Bantams sparked delirious scenes of celebration amongst the 1,500 visiting City fans at Spotland. The moment was enjoyed with the players, who raced over to the away section and unburdened some of their own pent up anger. You wish you could bottle the feeling of elation that we enjoyed for these precious few seconds, and the healing powers it has of transforming your mood and outlook. It is pure self satisfaction. Like ploughing into an incredibly tasty meal, or playing your favourite song at full blast. In that moment, nothing matters but your own joy. I took my four-year-old daughter today, and minutes before the end she wisely stated “this game has not been good daddy.” When the goal went in, jumping up and down and hugging each other was as special as it gets. “That was a good game daddy,” was the verdict walking back to the car. In the bigger picture, not a massive amount has changed because of Wyke’s intervention. And if there really was the faint flicker of play off hopes after Tuesday’s handsome win over Portsmouth, a draw at relegation-threatened rivals is nowhere near enough. But you’re still grateful to have experienced this goal. And to at least feel a bit better. Make no mistake, this was a poor performance from City. Against opposition looking edgy and short on quality – the old Keith Hill attractive passing football of the past has been abandoned for route one – the Bantams were guilty of failing to grasp the initiative. It was a first half completely devoid of urgency in City’s play. The odd occasional decent attacking move, ended tamely by a badly executed cross into the box, inevitably from either Alex Gilliead or Tony McMahon. Gilliead has just one assist this season. A damning statistic. Simon Grayson tried to maintain the 4-4-2 shape that has served him well over the last two home games, but Matty Lund – brought in for the injured Tyrell Robinson – is no left winger. City lacked balance and were predictable. Rochdale – just inside the bottom four, and no longer having the luxury of games in hand on those above them – were desperate for a victory. They made the breakthrough just before half time, when Matty Done finished emphatically from just inside the box. With Calvin Andrew playing the target man role, City’s backline struggled to deal with his flick ons. Timothee Dieng and Romain Vincelot were better with the ball than they were defending without it. The home side will feel they should have gone onto win from there. Bran Inman hit the post just before the break, and they had further opportunities to gain a crucial second goal in the second half, as City still struggled to get going. Grayson continued to shuffle the pack to try and get a reaction, first bringing on Nicky Law for the enthusiastic but ineffective Kai Brunker, and moving Lund to a number 10 role. With 13 minutes left, Vincelot was sacrificed so Dominic Poleon could join Wyke and Law in attack, with McMahon pushed from right back to deep-lying midfielder, and a back three. In other words, a sort of 3-1-3-1-2 formation, albeit a very unbalanced one. When Nicky Law came agonisingly close to an equaliser – his low shot squirming narrowly wide – it looked like the hope had gone. But Rochdale’s nervousness was their undoing. They kept dropping deeper and deeper, inviting pressure. And, in injury time, good work from Poloen and the excellent Stephen Warnock led to Josh Lillis dropping a cross, and Wyke pouncing emphatically. Dale had been about to leap out of the bottom four and up to 19th, but instead Wyke’s equaliser pushes them another step closer to League Two. It might have been even worse for Dale. The very last attack of the game saw Lillis partly atone for his error by producing a stunning save from a Dieng header – the Frenchman might feel he should have scored – to at least ensure a share of the spoils. Had Dieng netted, City would have remained seven points off the play offs with a game in hand. Instead, they are now nine points behind the top six and – with four to play – it is all but over. Even winning every remaining game looks unlikely to be enough. But still there are positives. Simon Grayson certainly had a rocky start to his tenure managing the club, but there are signs he is starting to get things right. He will have been disappointed with this performance, but heartened by the commitment. Going through a joyous moment like a last minute equaliser – and coming from behind for the first time since his first game in charge, at Charlton – is progress. Whilst Grayson is not a footballing purist, his favoured direct approach can certainly succeed at this level. It is mystifying how often he plays players out of position, and his unwillingness to really attack opposition sides and take the initiative is frustrating. But he has begun to improve results, focusing on players who will work hard for the club – and fans have responded to this. Grayson will feel better about some of the players contracted to the club next season, and the part they can play in his plans. It’s all down to whether he will be prepared to stay, and the outcome of the crucial talks with Edin Rahic. The budget will clearly be the key factor. If Grayson is afforded certain commitments over how much money there is to revamp the squad, and the level of freedom he has to shape it, you would like to think he will stay. Without those assurances, he’s going to risk his reputation by signing a longer deal. We’ve been through this exact scenario with Peter Taylor, eight years ago, who was persuaded to stay on for the following season after a short-term spell in charge where he impressed. Yet Taylor agreed to work under a reduced budget, and found it difficult to operate under high expectations that saw City made promotion favourites, simply because of Taylor. The season proved a major disappointment, and Taylor’s reputation in football was never quite the same. Grayson has a great track record, especially at this level. But he’s come to Valley Parade after a failed period at Sunderland, and he needs to be very considered in his next career decision. It’s got to be hoped that Edin Rahic and Stefan Rupp can offer the platform and the resources for Grayson to feel he can be a successful Bradford City manager. The idea of Grayson stepping down, and another managerial search, doesn’t bear thinking about. The question is, can City match Grayson’s ambitions? This year the club has operated on a reduced budget, and the results are there for all to see. Back in January, Edin Rahic told supporters at a 25-year season tickets forum the club was on course to make a £700k loss this season. Since then, there has been a disappointing season ticket campaign where renewals have dropped a third. Width of a Post understands Rahic has informed non-playing staff their jobs are at risk. This has also began to appear on social media. Can City afford a budget that can make them genuine promotion contenders next season, or is it going to be about consolidating in League One and building for the future? For all the frustration and anger of the last few months, there’s a worry this may only be the start of a downwards spiral. There’s a lot of uncertainty in the near future. What Simon Grayson decides to do from here could go a long, long way towards indicating just how strong really Bradford City are going to be next season. I agree with everything you say. I wasn’t at the match, but can appreciate the situation. Remember, Reeves, McGowan, Jones, Robinson are long-term absentees. But City lack money, and will not speedily improve until extra investment comes in. I am sure the owners know this and are maybe trying to attract some. We supporters can only help by buying season tickets. Regarding Grayson, the longer it goes on without resolution the more I think he probably wants to sign, but I fear he won’t.There are other good managers around–McCarthy comes to mind. I am not too pessimistic, because I never really expect success for City. And I feel , long-term, the owners might achieve success. The problem is whether the will stick around long-term. Investment, not unsustainable debt, is the key. We hear rumours of consortia trying to buy City, but Rupp and Rahic turning them down. If this is true, and many rumours are not, then maybe that is a sign of long-term commitment and a positive sign. The owners are trying to attract investment you say? The reason Rhodes and Lawn sold the club was because they didn’t have the funds to take us to the championship, and Rahic/Rupp were the men to take us there! Rupp himself is worth 100 million. They looked at every football league club (including Championship sides) before deciding on buying City, so they must have some money behind them. Maybe this investment of theirs isn’t quite turning out as they want. Running a football club in England is expensive. You have to speculate to accumulate. I’m not talking about going on a ‘six weeks of madness’ spending spree. Just show some bloody ambition or sell up! Disappointing to read from reports that, despite still having a slim chance of a play off place, we appear to have made little effort to go for maximum points. With Robinson injured, I’d have thought Simon Grayson would have played Gibson. Alas, no. Worryingly he seems to have a touch of the “Parkinson” about him. It sums up just how bad things are when supporters are getting excited about a last minute equaliser at lowly Rochdale. 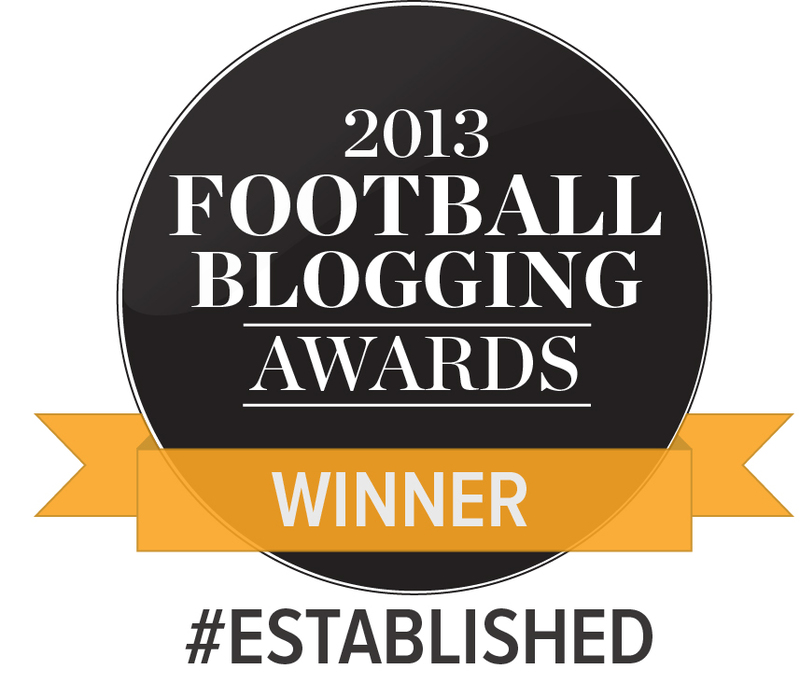 At this moment in time, there is nothing about Bradford City that excites me! Was not there but love the summary and the little 4 year olds perceptiveness.I was also not at the “Forum” but if Rahic said £700000 loss for year that has not yet ended I would not dispute it.A trip to Wembley last year that gave results a healthier look but in Mark and Julian”s last year losses of approaching £800000.No cup runs from memory.So if the budget was reduced after Wembley 2017 and Season Ticket sales are down by several thousand its going to be difficult.Unless Rupp digs deep.The million dollar question.Which I guess Grayson will be waiting on.